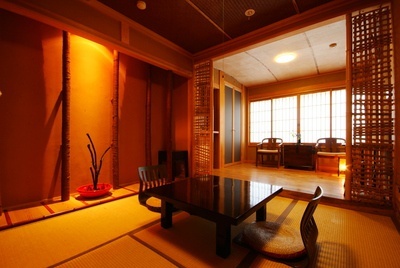 A lovely inn centrally located in the heart of Kinosaki Hot Spring town. A popular and stylish inn among couples and women. Earthen walls, ancient wood, bamboo and charcoal object d'art complete the modern Japanese room's soothing theme. 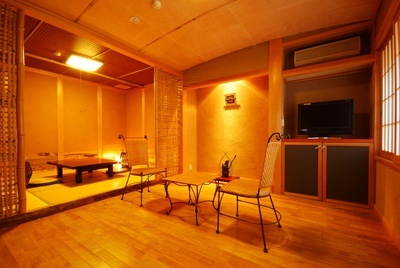 Features heated flooring, a rare commodity in Kinosaki's inns, very popular among our female guests.